Cave Story on DSiWare! It's awesome, a must-buy. Diddy Kong Racing DS, Mario Golf: Toadstool Tour and Bomberman 64 from my old game shop. Great priced too! Alt-Play: Jason Rohrer Anthology or whatever for DSiWare. Nier. Way underrated, that game. So how is Klonoa 2 for the GBA? Not to mention the true Sequal for the PS2? And I've already mentioned this like a bazillion times but I found the Klonoa remake for the Wii absolutely wonderful and easily one of the greatest and most memorable platformers I've ever experienced. It's a shame Namco isn't working on a Klonoa 3...Because what they've done with the dreamy environments, the brilliant sound track and overall graphics and presentation is just magical. Ahem* on the Wii that is. I love Klonoa 2 on both Platforms. Empire of Dreams on the GBA is also very good. Ironically the only one I haven't tried so far was Klonoa 1. Still I think you'd like them, Dezner Waveboy. lol Can't you tell the difference? I've got a little robo fishy in there. Anyways GET the first Klonoa for the Wii, you can't miss out on that one. Perhaps that was better phrased as "Games which weren't bought because I was tasked to review them for Nintendo Life". I've recently bought three DsiWare games at once: Little Red Riding Hood's Zombie BBQ, Cave Story and Paul's Shooting Adventure. 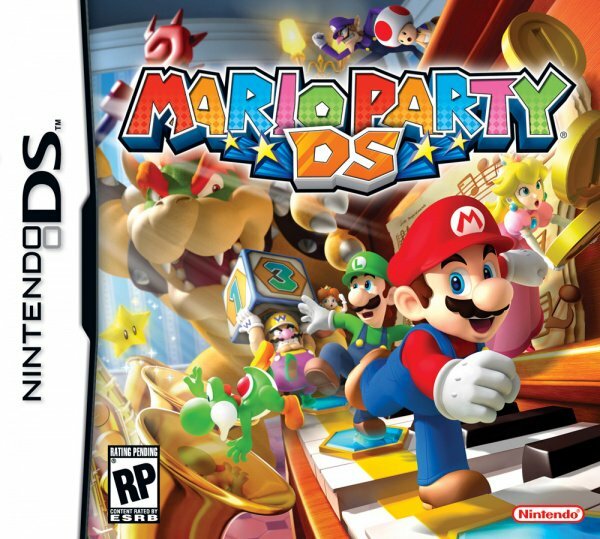 So which are considered the best Mario Party games?